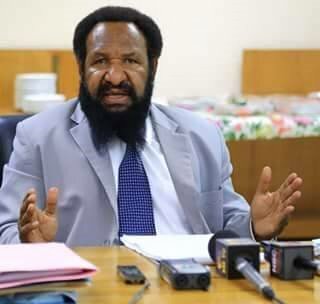 Papua New Guinea Opposition Leader Don Polye has called on the Government to remove the asylum seekers at the Manus detention centre and relocate them somewhere outside of PNG. Mr Polye said the recent bashing up of two asylum seekers in Manus by the police has done so much damage to the reputation of the country. “It has gone viral and has brought international shame with action that is not acceptable under international human rights laws. “I call on the Prime Minister to remove the centre and the people and relocate them somewhere. This centre has brought a lot of negative criticism internationally,” he said. Mr Polye commended four regional police training colleges to be established in the four regions with a full 12 months training to allow policemen and women to know the laws well including those on human rights. The six month basic police training currently offered at the Bomana police training college was not sufficient to learn the laws of the country and the UN International laws on human rights and conventions, he said.